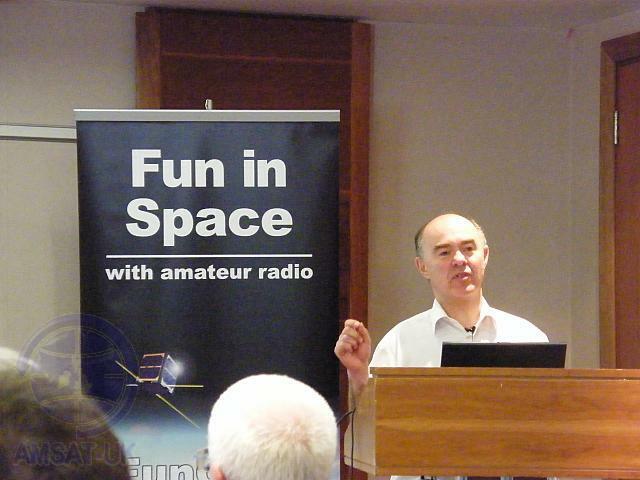 The AMSAT-UK International Space Colloquium will be held on July 24-26, 2015 at the Holiday Inn, Guildford, GU2 7XZ, United Kingdom. The event is open to all, admittance on Saturday and Sunday is £10 per day payable on the door, parking is free. The Colloquium attracts an international audience from across Europe as well as North America and the Middle East. Attendees range from the builders of the CubeSats and Nanosats, those who communicate through them and beginners who wish to find out more about this fascinating branch of the hobby. It provides a rare opportunity to chat with satellite designers and builders, discussions frequently continue until the early hours of the morning. As always the AMSAT-UK Colloquium starts on Friday afternoon (3:30pm) with a special session for newcomers to the amateur satellite world. You will be helped through the complexities by three amateurs, Dave, G4DPZ; Carlos, G3VHF; Drew KO4MA, who, between them, have thousands of hours of experience. They will explain the theories and talk about the practice of listening to and having satellite contacts through the ever increasing number of satellites in orbit. This year, we will have copies of the very recently updated AMSAT-NA publication “Getting started with Amateur Satellites 2015” in full colour available for sale from the shop at a special show price of £15. There will be visits to the satellite construction facilities at the SSTL Kepler Building on both the Friday and Saturday. Additionally this year, we will have copies of the very recently updated AMSAT-NA publication “Getting started with Amateur Satellites” available for sale from the shop at a special show price of £15. The Colloquium presentations start at 10am on Saturday and 9am on Sunday. The programme will include updates on the many new amateur satellite projects presently under development and also demonstrations with a live satellite ground station. A Gala dinner is held on the Saturday evening along with the fund raising auction, speeches, presentations, etc. If you wish to stay overnight at the hotel, you must book your room direct with the hotel: telephone 01483 784402 (or +441483 784402 outside UK). Recently (June 2015) problems have been reported with this number (Blame BT), if it fails, phone the Hotel front desk on 0871 942 9036, select option 7, then ask for “in house reservations”. (Don’t be tempted to select option 1, “bedroom reservations”, as this puts you through to central reservations, which is located in TumBuckTo and who cannot take Conference Bookings at our special rate. We have negotiated special rates of £79.00 for bed and breakfast, and £99.00 for dinner, bed and breakfast. The 01483 number above is good from Mon to Fri 9am to 5:30pm UK local time. 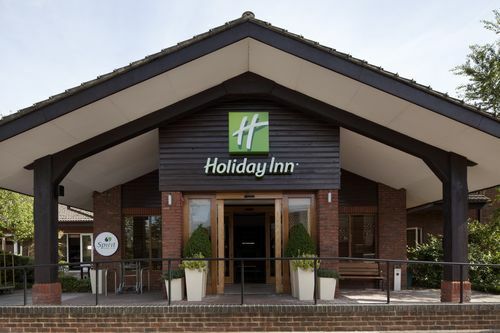 Outside these hours, people can email reservations-guildford@ihg.com If they quote their phone number, the hotel will call them back to take their credit card number. etc and confirm the booking. If you book dinner bed and breakfast for Saturday night, this will cover the cost of the Gala Dinner, for any other night, it covers the standard dinner in the hotel. Please use code AMSAT when making your booking. Additionally, on arrival, please pay £5 for Friday, and £10 for each of Sat and Sunday at the AMSAT shop (not the hotel). 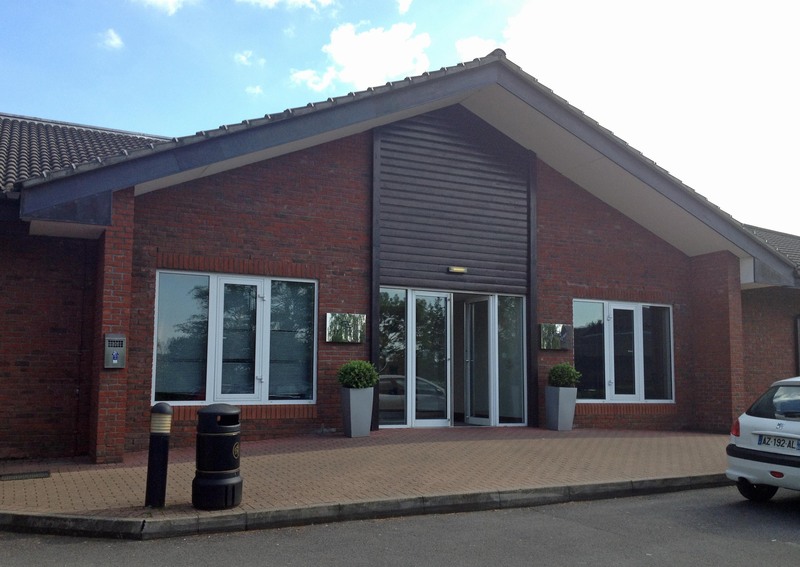 The AMSAT shop will be located in the Business centre. This covers use of the lecture room, plus tea/coffee on Saturday and Sunday. If you are attending as a day visitor, there is no need to book in advance, just pay on arrival at the AMSAT-UK shop (£5 for Friday, and £10 for each of Saturday and Sunday). However, should you wish to register in advance you can do so at http://shop.amsat.org.uk/shop/category_10/Colloquium-2015-Fri-24-July-to-Sun-26-July.html Day visitors can also book the Saturday evening meal. Access to the Colloquium is via the hotel side entrance about 30 metres to the left of the main entrance. We will be including an exclusive roundup of a number of new live and potential spacecraft projects that are under investigation and/or development.